I started cooking when I was in the seventh grade. It started off simple enough, with me tweaking a box of deluxe macaroni and cheese, and before long I had graduated to homemade meatloaf and chicken parm. I loved to experiment with food, and my eagerness to try new things was a great learning tool--it took an embarrassingly long time for me to figure out that serrated knives are for cutting bread and not tomatoes, but I quickly learned that wax paper is not oven-resistant. Through all my years of trial and error, and the hours I spend watching Food Network and The Cooking Channel these days, I've seen and discovered a few handy tricks that make my time in the kitchen more enjoyable. Here, thirteen tips that make my life easier. 1. To keep foods like rice, beans, and pasta from drying out in the microwave, cover the plate with a dampened paper towel. 2. Slap fresh herbs between your palms to release the oils before adding to foods. It will really amp up the flavor. 3. 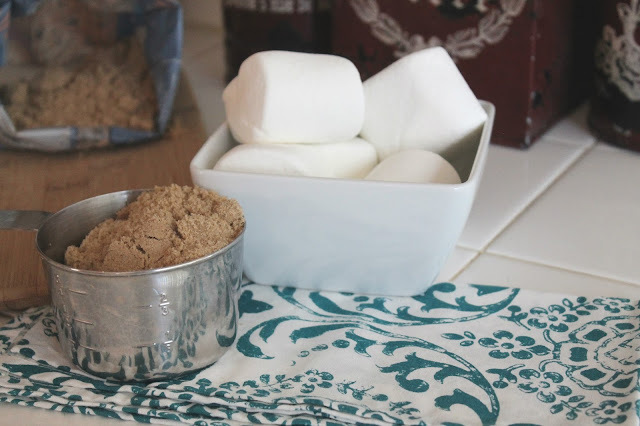 Keep brown sugar soft by storing a couple of marshmallows with it. 4. To keep ice cream and frozen yogurt from getting freezer burn, press parchment paper directly onto the surface before putting the lid back on. 5. Use a Bundt pan to cut fresh corn kernels off the cob. Place the corn cob on the center, use one hand to steady it, and use the other hand to cut. The pan will catch the kernels. 6. To shake the smell of garlic from your hands and cutting board, rub them with lemon juice. 7. Mix chocolate chips with a splash of vegetable oil before melting. This will thin it out a bit to make dipping much easier and give it a gorgeous shine without altering the taste. 8. When adding nuts, dried fruit, candies, or chocolate chips to any kind of cake batter, dredge them first in a little flour to keep them from sinking to the bottom of the pan. 9. Use ice cube trays to to freeze anything from coffee to leftover gravy. Here are ten things you can and should be freezing. 10. To keep your coffee or tea from cooling too quickly, fill your mug with water and microwave it for a minute or two, then dump the water and replace it with your beverage. 12. To extract the most juice from citrus fruits, roll them between your palm and the counter, applying just a bit of pressure, before cutting them. 13. Pizza cutters aren't just for pizza; use one to cut everything from puff pastry to quesadillas to long pasta noodles (for the little ones) with precision. Right? That garlic smell is the worst!